If You're the Victim of a Hit-and-Run Accident, That Doesn't Mean There is No Avenue to Financial Recovery. 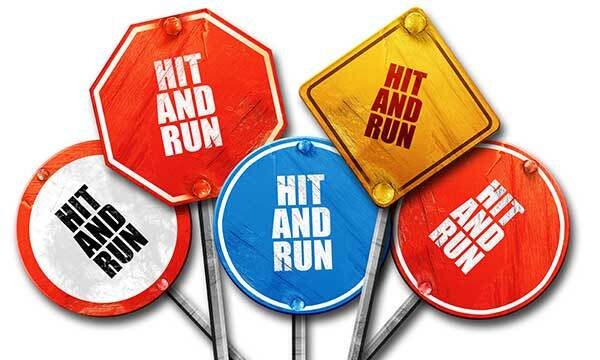 A hit-and-run accident is a crash between a motor vehicle and a pedestrian, fixed object, cyclist, or other vehicle, and the driver intentionally flees the scene without stopping to provide contact and insurance information. One in nine (11%) motor vehicle crashes is a hit and run accident. In Los Angeles, that number is much higher at forty-eight percent (48%). Often a hit-and-run accident occurs because the driver is uninsured, undocumented, driving under the influence, or has some reason, other than the crash itself, for not wanting the attention of the law. If you’ve been the victim of a hit-and-run accident, you are no doubt confused, hurt, and justifiably angry. And unfortunately, you may ultimately never find the person responsible for your losses. But a hit-and-run attorney may be able to help you find the hit and run driver. Nevada legislators in 2015 amended Nevada hit-and-run law to make penalties more severe for hit-and-run drivers. They are penalized the same as drunk drivers now and are required to be sentenced between 2 years and 20 years if they're involved in a hit-and-run accident that results in an injury or death. And it's a separate count for every person injured. You cannot always count on the police to find a hit-and-run driver. This is true even if they have the license plate number. A good hit-and-run attorney will have resources that will allow him to find your missing driver even if the police are unable or unwilling to do so. Unfortunately, even experienced hit-and-run attorneys do not always have enough information to track down the perpetrator in a Nevada hit and run. In those cases, we will look to your insurance company to cover your damages through your uninsured motorist coverage. If you elected this coverage when you purchased insurance (and if you haven't, then add it now), then your insurer is obligated to cover you the same as the at-fault driver, except that your insurer cannot raise your insurance rates when you make a UIM claim because you were not at fault. NRS 687B.385. If you are involved in a crash, whether you think you're at fault or not, you must remain at the scene if there was damage to vehicle, property, or injury or death to a person. NRS 484E.010 and 484E.020. You must provide contact information, vehicle registration, and if asked, your driver's license. You must also render any assistance to someone injured in the crash NRS 484E.030. The hit-and-run attorneys at Parry & Pfau are familiar with Nevada hit-and-run law, including recent changes. We have experience with hit-and-run lawsuits and have tracked down hit-and-run drivers in some cases and had to resort to UIM claims in others. We promise to do our best to help you, and would love to sit down and discuss your case with you. At no cost to you.